Designed for your driving enjoyment, the striking 2019 Toyota C-HR will turn heads while offering the latest in safety and technology. All you have to do is visit your Chicagoland Toyota dealers at Midtown Toyota to experience the unique styling and drivability of this fully-equipped ride. The Toyota C-HR and other exciting models are ready for you to test drive, so come check out all of the Toyota cars today! The eye-catching 2019 Toyota C-HR provides much more than visual appeal. Each of the three trim lines, the LE, XLE and Limited, come with a 2.0-liter, 4-cylinder that pumps out 144 horsepower. This car is responsive, comfortable, and simply fun to drive. The Toyota C-HR performs regardless of whether you’re turning a tight corner on a city street or getting up to speed on the highway. As your trusted Chicago Toyota dealership, we know this vehicle is up for the task of busy roadways. What makes it more enjoyable is the continuously variable transmission with intelligence and shift mode. Simply switch over to Sport mode and take control with manual shifting. Your driving mode choices include Sport, Normal, and ECO for increased efficiency. Safety comes standard on the 2019 Toyota C-HR. All three trim lines have impressive safety features, including the pre-collision system with pedestrian detection that utilizes radar and smart camera technology. Lane departure alert with steering assist will help keep the Toyota C-HR from unintended lane changes while the full-speed range dynamic radar cruise control detects the vehicle in front of you and maintains a safe, preset following distance. If your looking for technology, our 2019 Toyota C-HR near Oak Park has a standard 8-inch audio display with access to Apple CarPlay®. You will also appreciate the standard 4.2-inch color, multi-information display that is easy to see right between your gauges. 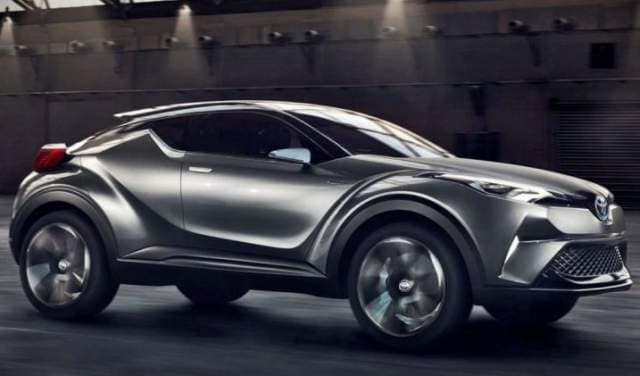 The 2019 Toyota C-HR has much to offer and our Chicagoland Toyota dealers invite you to visit our dealership and check out the new Toyota C-HR models we have available, as well as other models that may peak your interest. We look forward to working with you!